The only fretting on these stages will come from guitars and banjos. 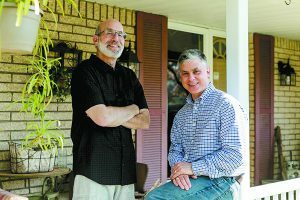 On Saturday, June 24, a swath of porches in Ferndale will come alive with the sounds of more than 35 bands and musical performers — lots of acoustic acts and at least one gospel artist — curated by Detroit’s best-known music writer, Gary Graff, and his music aficionado friend and business partner, Michael Benghiat. 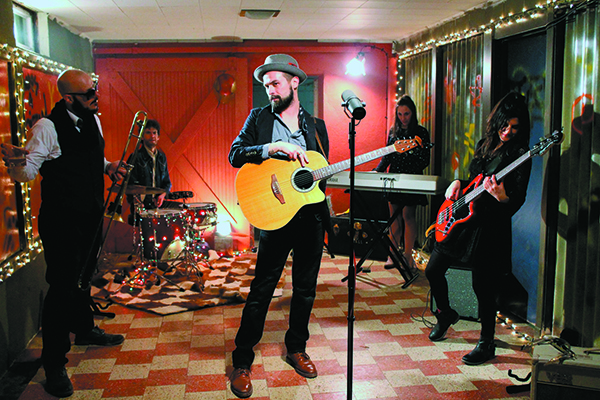 The Front Porch, as the event has come to be called, is intended to showcase rising and established musical performers in Detroit and beyond on some 25 porches — and possibly to become a television show of the same name. 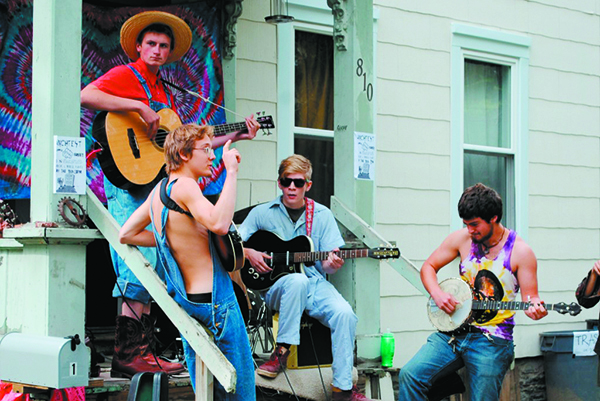 The front porch concept migrated from Ithaca, N.Y., in 2007 and made its way to various university towns like Ann Arbor and other bohemian enclaves. Benghiat saw one outside of Cleveland and loved it. Graff, founder of the Detroit Music Awards and a former Free Press pop music critic, liked it, too. The friends thought they could film artists playing on their own front porches interspersed with interviews and create a series of episodes for television, a la Soundstage or Live from Daryl’s House. The pair formed Front Porch Productions and pitched the idea to some local PBS folks. PBS loved the concept, said Benghiat, but they wanted to see a pilot before committing to a series. So Benghiat, 52, and Graff, 57, decided they’d have to start from the ground up and got moving. They secured approvals from Ferndale’s City Council in January, got sponsorship from the Kramer Group (which owns Faygo and several restaurants in Ferndale) and the Front Porch came together quickly. Residents offered their porches, musicians offered to play for free and the partners got a few sponsors to underwrite some of the expenses. The event takes place from noon to 6 p.m. in an area west of Woodward and (mostly) south of 9 Mile to Marshall on the south and Central to the west. Everybody is welcome. The city asked them to keep the concert area small enough so it will be manageable. 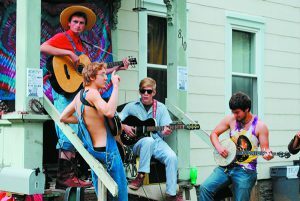 But it did temporarily amend Ferndale’s noise ordinance from noon to 6 p.m. should the strumming and harmonizing get too loud. 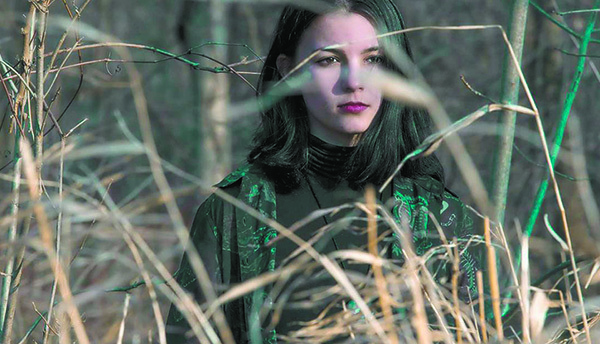 As noted above, many of the performers are in the indie folk/rock vein, such as the Luddites (who bill themselves as the Loudest Acoustic Band on Earth), singer/songwriter Anthony Retka, surf rockers Nova Wyse, country/cowpunk band the Briscoe County Vultures, the all-woman R&B/soul outfit Sandy Mulligan & Her Band of Gypsies, and Brother Hallow, a roots/soul act. All are local. 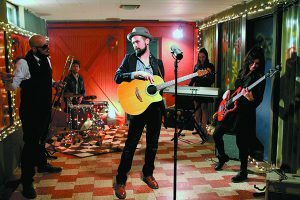 Detroit gospel singer Carl B. Phillips, a Detroit Music Awards nominee, and the Whiskey Charmers, a Detroit Music Awards winner, are part of the lineup. 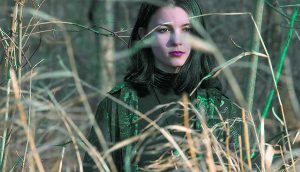 The Polish Muslims, a staple of Detroit’s music scene, will deliver a pared-down version of their “polka rock,” and singer/songwriter Jill Jack will take to a porch to pour out her honeyed voice. 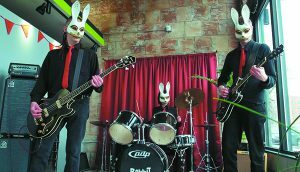 “Normally they’re playing in a club; this time they’ll do a hootenanny,” Graff says. 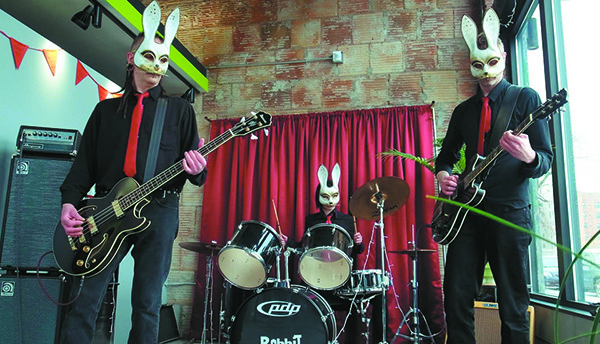 “It’s them with their instruments, picking and grinning.” Each performance will run for a half hour, with not a lot of overlap so that everyone can hear as much as they’d like. “We will also do our best to help make sure there aren’t homes or porches too close to one another,” Benghiat says. The residents who’ve offered up their stoops had to get their adjacent neighbors’ approval in writing and agree to provide power, to be a good host and to be home that day. Graff and Benghiat plan to build the first episode around Front Porch with interviews and live performances. 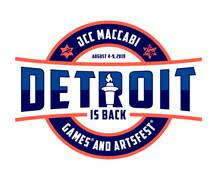 Dream Monster, a Detroit production company, will put it together, with Graff, 57, playing host. “Our end goal in this is to circle back … to produce a pilot for the show so we can get a time slot,” Benghiat says. Benghiat and Graff met 25 years ago, when Benghiat was working in sports marketing at Olympia. Graff was writing for the Free Press at the time. A few years after that, they became re-acquainted playing in a floor hockey league. Both are transplants who’ve made Detroit their home. Graff grew up in Pittsburgh, where his father ran a kosher supermarket. Benghiat moved here from New York with his family as a teenager, finishing high school at Southfield High. His wife (Marcy Cohen) and kids were active at Temple Emanu-El. 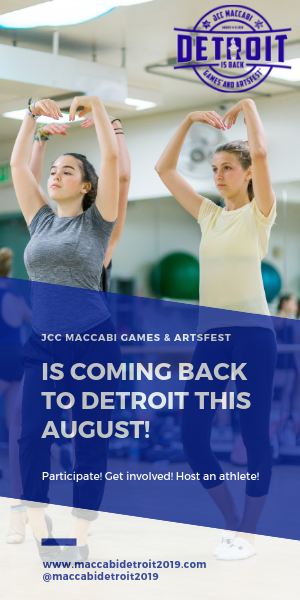 He worked at the Jewish Federation of Metropolitan Detroit as an associate campaign director, did a few marketing stints with the Parade Company and, last June, he relaunched Optimal Marketing, a branding/marketing business development firm. 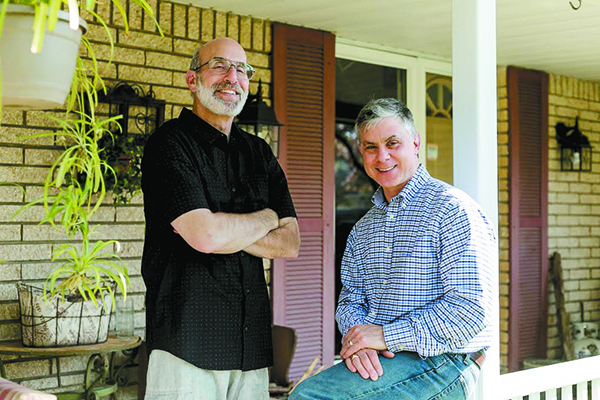 Graff, who has published books about Bruce Springsteen, Neil Young and Bob Seger, is the music critic for Digital First Media, which produces The Oakland Press and The Macomb Daily. Graff also writes for Billboard and other magazines. If the Front Porch is successful, the partners plan to do it annually. For more information about the Front Porch, including a map of porches, visit thefrontporchmi.com.